It's easy to sit in Pretoria, Cape Town or Johannesburg and talk about how ICT can improve service delivery. But the reality on the ground in provincial towns and rural villages can be vastly different. With fibre connections and LTE mobile coverage in the major metropolitan cities, residents of these areas can quickly forget what life is like for those communities underserved by connectivity. That is, until the holidays come around and the human exodus to provincial home towns and villages takes place. "When city-dwellers return to their villages at holiday times, they get frustrated because they don't enjoy the same benefits they have in townships or cities, such as 3G network connectivity. They might face 2G coverage or even no coverage at all," says Mothibi Ramusi, CIO, National Lotteries Commission. "Urbanites become discouraged from returning to these underserved rural communities, because they don't see hope," he adds. If left unchecked, this has the potential to further widen the digital divide. The fundamental issues to address, says Ramusi, are connectivity and pricing. He believes an innovative policy and regulatory approach by government and Icasa towards the network operators could be beneficial in uplifting those communities. "I don't see why it should be difficult to have a price differentiation for rural areas. If it could be agreed, rural interconnect between network operators, demarcated in areas classified as 'underserved areas', would be confined within those areas to a low rate, two cents for example." He also believes if government can find an innovative way, perhaps as part of negotiations over much-needed spectrum, the big six operators could also offer on-network calls for free in the underserved areas. "There's a reason why we define underserved areas. Let's confine an underserved area and give the residents a pricing model that's different," he says. 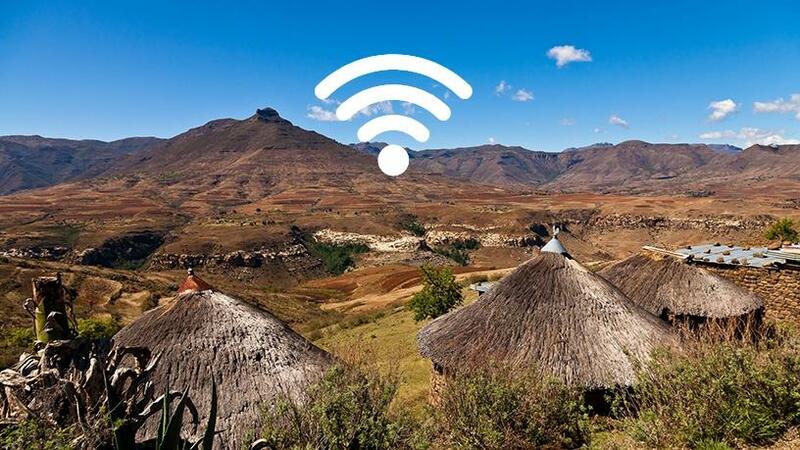 There's always been a myth about investments in rural infrastructure, but a mobile operator recently deployed a number of 3G sites in the rural areas of Umhlabuyalingana municipality in KwaZulu-Natal. It reported that within months of deploying the new sites, providing coverage to a population of over 50 000 people, the area experienced an increase in data traffic of 1 000%. "You can see from the experience there, the minute you put the tower down there will be use. And the ripple effect to the local area and economy will begin resulting in job opportunities. When you put a tar road down, people buy cars and then you have a need for motor mechanics. When you put electricity in, people buy fridges, stoves and TVs, indirectly there's a growth in the need for technicians. "I believe with access to data services, and at lower costs, it will encourage uptake and it will bring business. Perhaps migration will start to happen for business too, which will then start serving underserved areas." Of course, the situation isn't going to be solved by simply deploying base stations across the country and giving away free calls. Ramusi believes that the human issue of knowledge and acceptance of new technology is more challenging. "In villages and rural communities, the literacy level is often very low. I see the role of IT professionals, from the CIO through to desktop support engineers, to encourage the formation of local forums in their rural communities. Personally, I've been very vocal in my village in Limpopo where we established forums," he says. One way to solve the acceptance issue among those residents who might be averse to new technology, and to improve national awareness and celebrate different cultures, is through user-generated content, enabled by smartphones and connectivity. "Viewers look at broadcast news channels as professionals reading the news, but there's an opportunity for citizens to develop content and share with these platforms. In rural areas, as in townships and cities, there's a lot of content that you can generate daily - everybody is becoming a journalist. "It's a very vibrant and encouraging way of participating in this ICT environment. With a smartphone, I can take a picture of a traditional party, send it into a central channel and show what's happening in the village," he says. "Government must be complimented for spearheading broadband initiatives, particularly those focused on the rural and underserved areas," says Ramusi. "However, the private sector also plays its part as companies are expected to facilitate sustained partnership models to expand such infrastructure platforms. These initiatives will contribute immensely to closing the service gaps. "For underserved communities, such initiatives will enable all manner of communities, such as students, health workers, constructors and innovators to communicate, as well as improving safety and security. "Broadband connectivity enables collaboration and partnership between diverse communities, and will facilitate a move to a healthy and integrated knowledge-based society. "One of the aims of the National Development Plan 2030 is the creation of a country enjoyed by all and where citizens can feel safe. ICT remains a key catalyst for providing the much-needed infrastructure platform to achieve those aims. "With the infrastructure in place, citizens from the rural areas can start to participate in the economy. Government can also start to provide digital services, which means those citizens living in more widely spread locations don't have to travel to a central town or city to access the services they need," Ramusi concludes.